Now that the major events of the year have taken place in Scotland, the planning can start in earnest for the events in 2016. But before we do so an explanation seems to be in order. Did you know that the “Scottish 6 Days”, (2nd – 8th August 2015) is currently underway in the Highlands of Scotland with orienteer’s hurrying to and fro. Taking place in a different area each day over the 6 days covering Elgin to Glen Affric, this is an event that is very much for the competitors rather than the spectator – but with 1,000’s of runners involved we wish them all the very best, and look forward to their next event in Scotland in 2017 in Royal Deeside. With the completion of the “Gentlemen of the road” music festival at the weekend, headlined by Mumford and Sons at Aviemore – both these events look to have contributed over £6 million to the economy of the Highlands. With so many festivals and sporting events being held in Scotland now it is difficult to pick individual ones, but one that certainly catches the eye is the Aviva Tour of Britain, which takes place from the 6th – 13th September 2015. Stages 3 and 4 take place in Scotland, with the cyclists travelling through Dumfries and Galloway, the Scottish Borders, and with a grand finish in front of Floors Castle in Kelso. The following day commences at Holyrood in Edinburgh with the cyclists travelling through Duns and Coldstream before heading back across the border. These should be two very exciting days for the spectator. One of the next sporting events will be held between 10th – 13th September 2015 at Blair Castle in Perthshire, which is hosting the FEI European Eventing Championships 2015 for horses and riders for a variety of events. This is a show that brings in over 40,000 people and there is something for everyone with a country fair and events for all the family. As the tag line for the event goes – “enjoy World class sport in one of Scotland’s most scenic locations” – and it does not get much more scenic and beautiful than Blair Atholl. Scotts Castle Holidays offers a wide range of self-catering holiday venues, from large holiday houses, magnificent mansions and charming castles in Scotland. Whichever festival or sporting event you wish to see in Scotland, makes sure to choose a self-catering holiday house which will suit you by contacting the office today at Scotts Castle Holidays for more details. 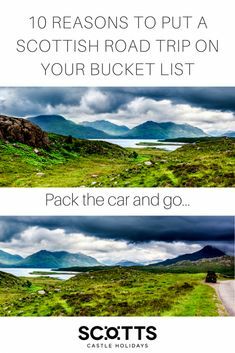 Happiness is….choosing to holiday in Scotland and getting the balance right between entertaining the whole family and actually enjoying your holiday. Whilst I was in Blair Atholl in Perthshire last week there seemed to be so many people around and they all seemed happy. I am not surprised as Blair Castle is the focal point to the village and it is an interesting historic castle to visit and is a very popular visitor attraction. Of course this may not appeal to children – but there is so much more. Blair Castle dates back to 1269 and has been transformed through the ages to become the fine Victorian castle in the baronial style that it is today. It is open to the public April – October each year, with many additional attractions apart from touring the castle itself. Atholl Estates have 145,000 acres of hills, woodlands and open countryside just waiting to be explored. Whether you want to set off on your own adventure on the 40 miles of walking and cycling routes or try one of the Estate activities, there is something for everyone. These include pony trekking, Land Rover safaris and tractor tours for children. If you are looking for accommodation in this area, Scotts Castle Holidays have a number of large holiday houses to choose from. One of these is to be found 8 miles from the castle and it is one of the Duke of Atholl’s former shooting lodges. Accessed via a private estate road, which is for residents only for vehicular access, the track meanders up Glen Tilt going through beautiful scenery until eventually finding the holiday house. The lodge itself is a Traditional Shooting Lodge that is functional over flair, which is in fact a large holiday house as it can sleep up to 20 people. With a large drawing room, dining room and plenty of bedrooms – this is the ideal place to take an activity minded family or a group of walking enthusiasts. Included is a complimentary family pass to Blair Castle. 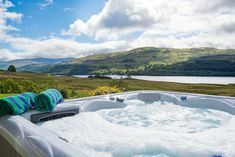 If you are looking for a wonderful location to get away from others, but to have plenty of activities on your doorstep, then this Scottish Holiday Lodge comes highly recommended. Contact Scotts Castle Holidays today for more information. With the tennis just a distant memory and the prospect of Andy Murray having to wait another year again – he was not the only thing that was Scottish at Wimbledon this year, as most of the strawberries eaten there were grown in Scotland to be part of the ubiquitous “strawberries and cream”. Whilst Andy may hail from Dunblane, the majority of the strawberries grown in Scotland come from the Angus and West Perthshire area. In fact Lochie Porter’s company Angus Soft Fruits supplies 10% of the strawberries eaten in the UK and a staggering 40% of the raspberries. The reason that this relatively small part of Scotland does so well, from Blairgowrie to Arbroath, compared to the south of England, is that there are longer hours of daylight and less stifling heat, which helps the berries to ripen slowly. Along with the advances in polytunnels and variety selection, the season is now much longer than it used to be and this part of Scotland has become the best place in the UK for soft fruit. As part of Scotland’s “Year of Food and Drink in 2015” campaign, the most recent launch by Visit Scotland is the creation of a “Berry Trail”, to encourage everyone to visit these soft fruit farms. As a family on holiday in Scotland, what better way to get your children out in the sun and have fun too, by going berry picking. The fruit harvest season lasts for 6 months of the year – from May to October, with the busiest months being June, July and August. One of my favourite farms to take children to is the McLaren’s Farm beside Meigle, where a variety of berries can be picked depending on what time of year it is. Whilst strawberries are normally the children’s favourite, the raspberries seem to be so much sweeter straight off the bush. The Cairnie Fruit Farm near Cupar in Fife is another excellent “pick your own” farm, which is very popular with all the family. Depending on where you wish to be based, whether in Perthshire, Angus or Fife, there are many large holiday houses in Scotland offered by Scotts Castle Holidays. The Beautiful Historic Mansion, which sleeps up to 23 people, is a few miles from the Mclaren Farm, whilst the Restored Fortified Castle, which sleeps 13 is close to Cupar and the Cairnie Farm. For a smaller number, then the Dower House, sleeps 8 people on a self-catering basis and enjoys wonderful views over the Vale of Strathmore and is in the heart of berry country close to Blairgowrie. Wherever you choose to stay – we wish you a “berry” happy holiday in Scotland. With Dumfries and Galloway, you get two Scottish counties for the price of one, all of it a rich and diverse area to discover. 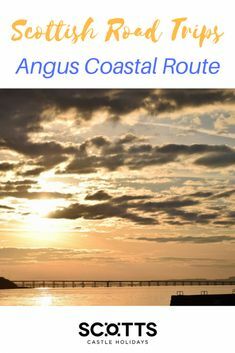 Situated to the south west of Scotland, it can easily be bypassed as you travel north or south, but if you venture this way there is much to find. I think what surprises people the most is how hilly it is. Not mountainous like the Highlands or with the rolling hills of the Scottish Borders, but quite striking up-and-down hills. Then, of course, there is the Solway Firth, with all its marshlands, beaches and coves. An area that Robbie Burns, Scotland’s national bard, would have known well as his days as an excise man, but today is ideal for bird-watching and beachcombing. Activities in this area are many for a family. The Glentrool Forest Park Visitor Centre is a great place to get started, as it is known as the “gateway to the Galloway Hills”. Here you can walk on the many themed walking trails or you can take one of the mountain biking trails, which is also part of the 7Stanes route. Walking in the Glenkens is one of the most popular walking trails. Horse rides and trails can be organised for you at the Lochill Equestrian Centre near Castle Douglas, to suit all rider’s abilities. For the golfer, there are many good parkland courses, and there are some excellent courses to get children playing for the first time. The golf clubs at Newton Stewart, Thornhill and Kirkcudbright, to name but a few. When it comes to water activity, then Loch Ken and the Loch Ken Activity Centre, covers so many options including sailing, stand up paddle boats, kayaking and wind-surfing. Whilst those who prefer to fish, then Loch Ken also caters for this with fishing available for pike, perch and roach here. The rivers Nith, Annan and Esk, all have an excellent reputation for salmon and sea trout, as well as for the brown trout. For sea fishing, then the waters around Stranraer have caught record breaking fish, but regardless of the size of your catch, these are all great day’s out. If this was not enough for you to be entertained in Dumfries and Galloway – what about this? 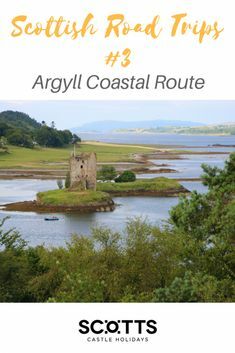 Here are 10 more things you can do or visit in this area; 1, Caerlaverock Castle; 2, Sweetheart Abbey; 3, John Paul Jones Museum; 4, Gretna Green Blacksmith shop; 5, Drumlanrig Castle; 6, Mersehead Nature Reserve; 7, Robert Burns House; 8, Cardoness Castle; 9, Mull of Galloway Lighthouse; 10, Threave Castle. With a great variety of things to do and see, Dumfries and Galloway is a great location for a family holiday and if you wish to find a large holiday house, like Bellrigg, which can sleep up to 11 people on a self-catering basis, then at Scotts Castle Holidays we will be delighted to assist you further. Please contact today for more information on self-catering large holiday houses in Scotland. 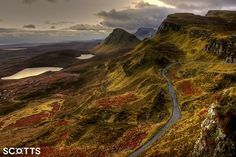 The Scottish Borders are to be found south of Edinburgh, and is a land of abbeys, market towns and fabulous countryside. Places like Peebles, Hawick, Selkirk, Melrose, Kelso and Duns, are all wonderful towns in their own right, but collectively form part of the rich tapestry that the Borders has to offer. Access is easy and will become even easier when the new 30 mile stretch of railway line from Edinburgh to Tweedbank opens on 6th September 2015. 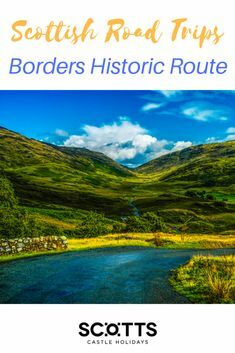 It is anticipated that this will bring even more tourists to this scenic area and deservedly so as there are so many attractions available and you can see why the Borders is known as the short break destination of Scotland because of the range of activities on offer. Horses. The equestrian fraternity are well served in the Borders, with many of the towns having common ridings, with the one at Lauder dating back to 1686 and this one will be taking part again from 27th July – 2nd August 2015. These are quite a spectacle for any tourist and it is worth checking the Return to Ridings website for all the details. For those who prefer a flutter, then a trip to the Kelso Races is a must. On offer is National Hunt racing over jumps from May to September, with the next race meeting on 6th May 2015. Bike. On Saturday 2nd May 2015, the British Mountain Bike Marathon Championships will be setting off from the High Street in Selkirk. The main spectacle is the 75km route, but there are two further single loop courses of 25km and 50km. Mountain biking has been popular in the Borders for many years with the Seven Stanes biking routes offering superb rugged trails for all level of ability. Car. In Duns, the home town of Jim Clark, there is a small museum which houses the championship trophies and prized possession of the Formula 1 world champion. For any petrolhead and FI fan, this is a shrine that requires your attention. Check the Jim Clark museum on-line for opening details. Continuing on this theme, The Jim Clark rally is an annual rally event held this year from 29th – 31st May 2015, which includes a one-day forest rally with the Start and Finish festivities in the square in Kelso. For anyone who loves drama and edge of your seat excitement when it comes to wheels – then pack your flask and get into those woods to see car driving to the max. Whilst the Scottish Borders will continue to be known for Sir Walter Scott’s novels and the scenic beauty of the rolling hills and ruined Abbeys will tempt tourists for ever onwards, be aware that this area thrives on activity breaks too, and whatever mode of transport you prefer, there is space to have fun. Go wild in the country! For those looking for great quality self-catering accommodation close to Galashiels, then the Five Star Holiday House sleeps 8 people, whilst next door the Five Star Barn Conversion sleeps 8 people too, and both come highly recommended by Scotts Castle Holidays. 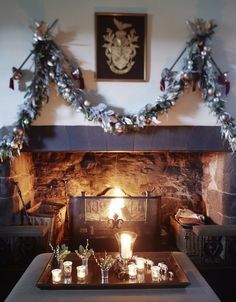 With Easter nearly upon us, thoughts turn to holidays again, and it is time to get back to a holiday state of mind. Firstly with the short break ahead and secondly in planning what it is you want out of your main summer holiday. As a family group looking ahead – where do you want to go and what do you want to do? Do you want to go “rock pooling” for crabs on the beach; hang out for the perfect wave to surf; climb as many mountains as possible; visit the many beautiful castles in Scotland; check out the cosmopolitan city life; be pampered at the nearest spa; what is it that tickles your fancy? Are there things on the “bucket list” you wish to tick off, or is it just a “bucket-and-spade” holiday you are after? Bill Joel sang about a “New York State of Mind” and taking a vacation in other parts of the US, whilst in reality he wanted to stay at home, but what about you? Well, only you know. Scotland can offer a huge variety depending on your preference, and specialises in castles and fresh air! Be you young or old, you can get out and about in the countryside. By taking a lovely walk by Loch Fyne you can even help a charity conserve an important old Scottish castle. Whilst on holiday enjoy the beauty and give something back at the same time. Surely this must be good for the soul and allowing a generosity of spirit should make you feel so much better. Be inspired by its special beauty. Be part of the history of Scotland and get involved. Old Castle Lachlan can be found at the end of this short walk in this unspoilt setting on Loch Fyne and if you can help save this for future generations to enjoy, well that is a holiday to remember forever for all the family. Scotts Castle Holidays offers a wide range of self-catering holiday venues, from large holiday houses, magnificent mansions, and charming castles in Scotland. Something for everyone, whatever their Scottish holiday state of mind! Food. East Lothian is known as the “Garden of Scotland”, with fields full of crops in a drier milder climate than the rest of Scotland. There is a superb range of fresh local produce available throughout the year and any foodie will be spoilt for choice in East Lothian. On the last Saturday of each month, you can buy local produce at the Farmer’s Market in Haddington, which offers the finest range of local ingredients and farm products. Over 20 stalls offer the best of Scottish meat, fish, traditional baking, cheeses, ice cream, fresh fruit and vegetables, as well as assorted beverages. Furthermore with the substantial coastline, there are many seafood outlets available. James Dickson and Son is based at Cockenzie and with a superb local reputation, it is well worth a visit to the seaside. Drink. East Lothian also has some hidden treasures when it comes to drink! For example, there is a very fine cider maker, Thistly Cross, which has everything from scrumptious Scottish cider and fruit liqueurs, and you must try this, even if you are not visiting East Lothian. Sticking with the more traditional, there is currently one solitary distillery in East Lothian (though there are plans for more in the future) which is Glenkinchie, which can be found near Pencaitland. Founded in 1837, it is open all year round, and like all the distilleries in Scotland, well worth visiting. Things to do. East Lothian is most well known for its golf courses, specifically on the links courses by the sea with Musselburgh, Gullane, North Berwick being great examples. If you are not keen on the “gowf”, then take advantage of these wonderful coastlines as they boast some of the country’s best beaches. 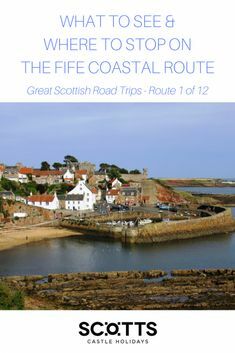 They include Longniddry Bents, Gullane Bents, Yellowcraigs, Dirleton and North Berwick. With vast expanse of sand and impressive waves, this is a must for outdoor enthusiasts, especially surfers, with breathtaking views towards Edinburgh, Fife and Bass Rock. For a luxury castle stay in East Lothian, contact Scotts Castle Holidays today to find out more about staying at Fenton Tower on a self-catering basis. Whilst Edinburgh is the capital of Scotland and Edinburgh Castle the most visited attraction, back in older times it was a different story. It was Dunfermline which was the capital of Scotland (prior to 1437), with its Abbey being the centrepiece. Located a few miles away once you cross the Forth Bridge travelling north from Edinburgh – it is a must see for all visitors coming to Scotland. 1, Dunfermline Abbey. The foundation of the monastic establishment took place between 1058 – 1093, whilst the Abbey was founded in 1128, so there are plenty of ancient footsteps to follow in. It is most associated with King Robert 1, more commonly known as “Robert the Bruce”. He was one of the most famous warriors and led Scotland during the Wars of Scottish Independence against England. He fought successfully during his reign to regain Scotland’s place as an independent nation and is today remembered in Scotland as a national hero. After his death in 1329, the body of Robert the Bruce is buried here, whilst his heart is at Melrose Abbey. The tower of the church bears the words `King Robert the Bruce` which is carved in stone around the top and inside, beneath the pulpit, is his tomb. Nearby are the remains of the other monastic buildings, including the large refectory and the ruin of the Royal Palace, rebuilt in the sixteenth century for James VI. 2, Andrew Carnegie’s Birthplace Museum. Walking down the street from Dunfermline Abbey you will find the cottage where the famous industrialist Andrew Carnegie was born. It is now a visitor attraction and at the museum you can find out what life was like in 19th century Dunfermline and what it was like to emigrate to America with just a few possessions. Learn how Andrew Carnegie, a weaver’s son from Dunfermline, made a fortune in steel in America to became the richest man in the world and who then gave his fortune away to benefit humanity. 3, Dunfermline Golf Club. Whilst Fife is synonymous with the game of golf, mainly through St Andrews, even they cannot compete with this Dunfermline golf club as it comes with its own castle, Pitfirrane Castle. The club was founded in 1887 and moved to this site in 1953, when it took over the parklands and castle. The castle dates back to the 16th century, with the staircase being dated as1583, with later additions through the centuries. Visitors are welcome to play golf, and the course has great views overlooking Dunfermline, the Abbey and the castle. Whilst there are many other activities in this area, including a trip to Scotland’s national aquarium, Deep Sea World at North Queensferry or to Falkland Palace, for those seeking a self-catering large holiday house in Fife, then this Impressive Country House overlooking Dunfermline would be ideal. This large Victorian country house set on the hill above offers accommodation for up to 18 people on a self-catering basis. This is a comfortable holiday house with a relaxed atmosphere, which is ideal for large groups of people to get-together to enjoy quality time with each other in the Edinburgh/Fife area. Contact Scotts Castle Holidays today for more details. Well done to all of the “Northern Lights” fans who were scurrying across Scotland at the weekend, camera in hand, to find the best spot to see this natural light display in the sky.